Open to anyone needing a meal! 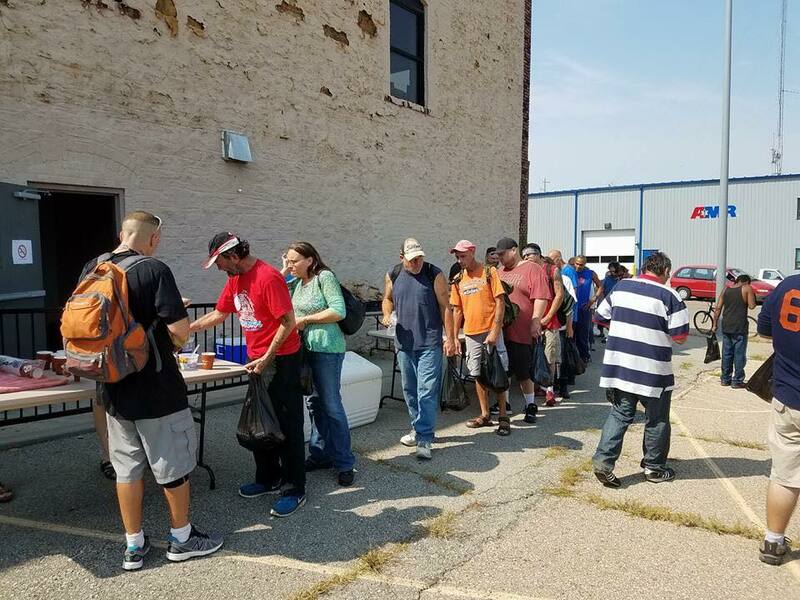 What started as a nomadic group of volunteers handing out bottles of cold water on hot days and hot coffee on cold days in 2011, SilverSunday, our flagship program, continues to function as a major force in our ongoing effort to bridge gaps and build a unified community. In the summer of 2012, the program expanded to distribute sack lunch meals along with the coffee/water service. Over 8,000 lunches were provided during the lifespan of this stage of SilverSunday. In the fall of 2014, the program transitioned from sack lunches to hot meals each week. Committed to serving nutritional, home cooked meals to the homeless and under-homed in our community. Would you like to volunteer at a SilverSunday? Please visit our Volunteer Opportunities page to sign up.